I found the answer to my life balance, my life fulfillment and my happiness. Isn’t that wonderful! And I would like you to feel the same way!! I would like to lead your journey to reach this ultimate state of mind. This might get you thinking, another coach? Yes. And no. I am not your every day coach. No hour-long meetings at maximum cost. I will provide the basic tools that will get you started. Unraveling the secrets of coaching professionals in easy steps. How do I do this? By adding some fun to it all! 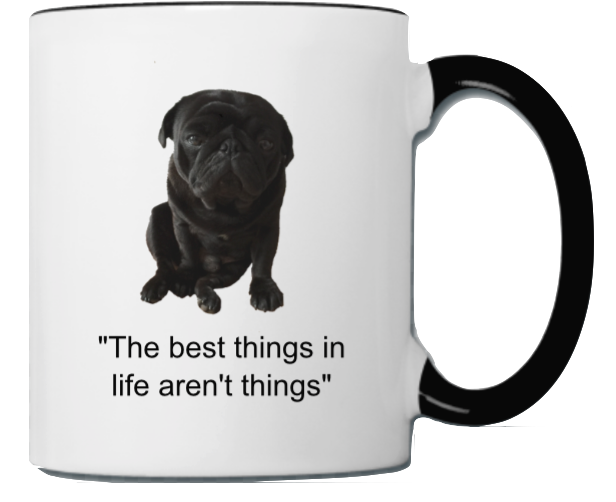 I found out that 10 thousands of people like life lessons explained by the best mascot ever: Otis the black Pug (aka me…). My wonderful little furry posture makes people smile, which opens the mind for new input in a hassle-free way. My goal is to provide tools and gadgets that are inspiring and helpful to every aspect of your life! An idea that is based on the “wheel of happiness”, which concerns every aspect of your life. From financial freedom to relationships to soul searching. So, are you ready to get control of your life and be happy? Just follow me! Want to buy me a (healthy;-) snack?